Landed: I got a direct flight from NYC to Cuba via Delta airlines. I booked it 3 weeks out. I used my points, but without that the trip would have cost me $350 round trip (what it costs me to fly home to Columbus, Ohio). Customs went pretty quick and I checked a bag which I received from baggage claim right away. *One thing about customs- I was prepared to tell them why I was visiting (people to people is most common), and all they said to me is that I had nice eyes. My experience was easier than coming back into to US, but my friend got questioned. Just be prepared. My friend and I did not have enough time (and didn't plan efficiently) before the trip so we had to convert our money once we got down there. Everyone told us not to do this, but we had no problem with it. We were told not to do it at the airport though, so we waited until we got to Havana and went to a bank once we got down there. We stayed in three different Airbnb's over four days. We really wanted to see as much as possible and amerce ourselves in the culture as much as we could. Our first Airbnb was so helpful about getting down there. They told us it wouldn't cost more than 25CUC (Airbnb was a 25 minute drive) for a cab down there and to not pay any more than that. Cuba is a small and close nit country, so she said the cab driver will definitely know the address and if they say they don't know, they're lying (she was very blunt, didn't want us to get ripped off). She was right though! My friends both spoke Spanish and I will admit that it helped a lot throughout our trip. However, if you don't speak fluent Spanish (like me) don't let that influence your decision to come. You can still easily get around speaking English, just helps if you speak their language. TIP: prices are always per ride, never per person! Every Airbnb we stayed in made us breakfast in the morning, usually about 5CUC/person for a full spread. They always had fresh organic fruit and fresh fruit juice (I can still remember how the mango juice tastes and will never go back to drinking it here in the US without making myself). So delicious and it was perfect for us as we wanted to get up and going as fast as possible so we could explore! We had no initial plan on the first day, just wanted to get out and explore as much as possible. 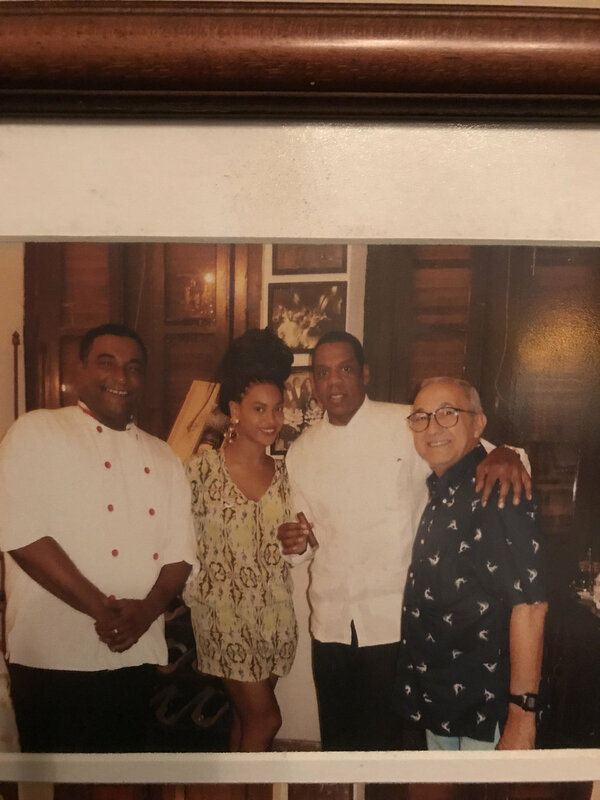 This was probably one of our most "touristy" days, we decided to go to the restaurant Paladar San Cristobal, known (by us at least) for serving President Obama and Michelle as well as Beyonce and Jay-Z, and was on an episode of Keeping Up with the Kardashians. The food was very good, service was awesome and everyone was super friendly and talkative. They even gave us a tour of the restaurant and the kitchen after our meal! I would recommend going there if you're looking for a nicer restaurant, as you'll probably need reservations (we didn't because we ate around 4pm). The total bill was 70CUC for three people, which included two appetizers, three main dishes and a shot of espresso. *MUST: Try the street Churros! They were amazing- I think I had two bags while I was there, not even mad about it. We woke up at our second AirBnb in Havaña and found a cab that would take us from Havana to Viñales. Viñales is the country side part of Cuba, West of Havana, and completely opposite from the loud hectic city life that Havana offers. We stayed at an AirBnb for $24/night that was by far our favorite. The host was amazing, he genuinely loves having people explore his home town and enjoyed showing us around, recommending restuarants and local spots to check out as well as cooking us breakfast/dinner (he went to culinary school and is an amazing chief). You can check out his AirBnb here. We dropped our bags off and told Pavel (AirBnb host) that we wanted to go to a tabacco farm. He set up a tour for us that was 5 minutes away from the AirBnb, where we basically had our own tour of the farm and were taught how to roll and smoke cigars. Vinales is a popular place for people to travel for mountain hiking and rock climbing. My friends and I set up a sunrise hike before we left for Cuba where we woke up around 5am and hiked up the mountain and watched the sun rise. It was definitely an experience I will never forget and I would 100% recommended doing one if you decide to travel to Viñales. We hiked to the top of a mountain where we had coffee/tea/fresh mango juice waiting for us. We got a tour of the property of someones house where they showed us how to grow coffee beans and introduced us to the man that owns the land that was in his 80's and never visited a doctor or hospital once (he lived off his land). Such a different experience for us city girls! You can find the website to book tours and hikes here. We were finished up with the hike around 10am and decided to go to the beach for the day. We asked the cab driver to take us to a beach we found through research before we left, but he recommended a better beach that was probably the prettiest and remote beach I've ever been to. I can't remember the name, but the people in Viñales are all so nice and love showing you around, so I would recommend just asking someone where to go. That night, Paval showed us to a local restaurant right in the middle of their neighborhood. It was adorable and the food was. so. good. Paval cooked us breakfast on his roof before we left for the airport- it was an amazing spread of eggs, toast, fresh jam and butter and plenty of fruit. It was a perfect end to our time there. He then called a cab for us to take back.